^ Statistical Yearbook 2011. Central Statistical Organisation. [24 February 2013]. 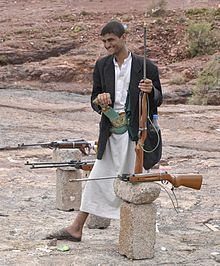 ^ 3.0 3.1 3.2 3.3 Yemen. International Monetary Fund. ^ World Bank GINI index. World Bank. [15 October 2017]. ^ 2016 Human Development Report (PDF). United Nations Development Programme. 2016 [21 March 2017]. 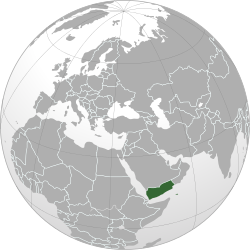 ^ Yemen. State.gov. 2005-11-08 [2010-10-17]. ^ Freedom in the World - Yemen (2007). Freedomhouse.org. [2010-10-17]. （原始内容存档于2011-02-01）. ^ 南蘇丹獨立 南葉門想跟進. tol.chinatimes.com. [2011-07-11]. ^ 統治葉門33年 薩利赫交出政權. chinatimes.com. [2011-11-24]. （原始内容存档于2011-11-26）. ^ The General Census of Population 2004. Sabanews. 29 December 2004 [Updated 13 December 2013] [13 December 2013]. ^ The population explosion on Europe's doorstep. Times (London). 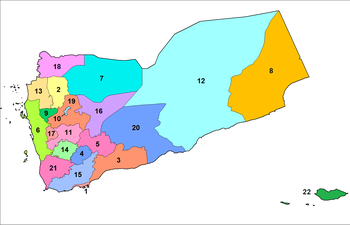 18 May 2008 [22 February 2013]. .
^ Yemen: Government planning to curb population growth. IRIN Middle East. 14 July 2008 [22 February 2013]. for Arabic, read it here: . ^ Country Comparison: Total fertility rate. Central Intelligence Agency. CIA World Factbook. [23 February 2013]. ^ 李敖《中国性研究》. 李敖. 2005-11-08 [2014-10-08].